And these are some winners here, folks! The big girls came to play in Omaha! The Female Bodybuilders stole the show at the 2018 Omaha Pro! Valentina Mishina puts on a Russian display of power! Lee Anne Temnyk backstage preparing to defend her title! 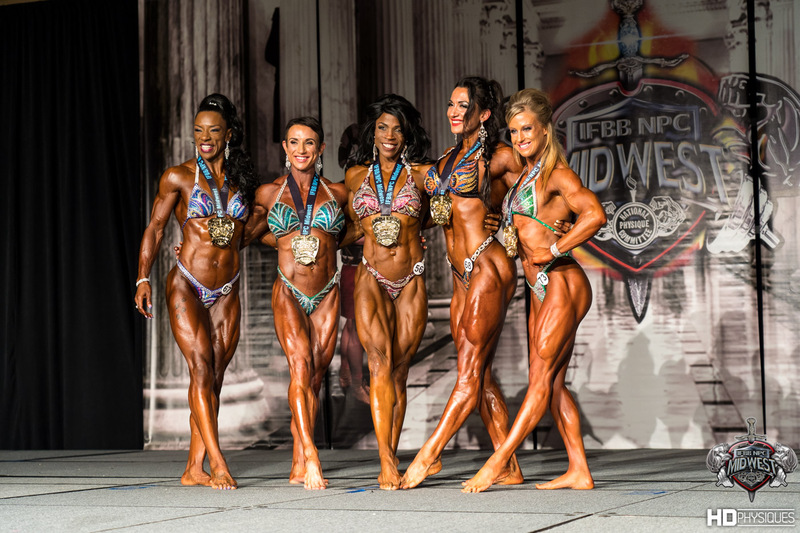 Brittany Bull and others pose on stage - huge muscle! Jill Diorio has some of the craziest calves in the world! Alli Schmohl has a great routine - good enough for a top 5 finish! Bikini Pros have never looked better on stage - holy smokes! Candrea Adams and other physique girls posing on stage - wow! Pro bikini girls struttin' their stuff on stage - who's got it? A bikini pro rookie making her presence known on stage! Those are show-winning glutes right there - only the finest athletes show up in Omaha! All divisions are backstage getting ready for their moment to shine! Enormous biceps and vascular as ever - Alli Schmohl pumping up backstage! Mayla Ash would end up winning this amazing event, and punch her ticket to the Olympia! Some of the very best physique athletes in the world grace the stage in Omaha! Hailey Delf of HDPhysiques has a flex-off with the US Army!